Focused on the fact that, to be more in line with the social and economic demands of the 21st century, schools must promote, not only the acquisition of 21st century skills, but also need to generate a more skilled workforce, CREATEskills aims at developing and implementing innovative teaching and learning practices, tools and methodologies in European primary schools. The goal is to establish STEM (Science, Technology, Engineering and Mathematics) Studio Classrooms which will contribute to the attractiveness of STEM subjects. 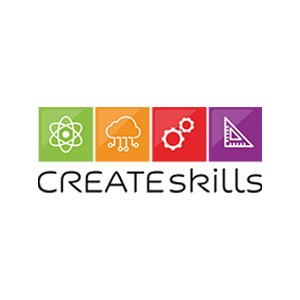 CREATEskills will promote the acquisition of skills and competences; will innovate practices having in mind the digital era we live in; and will strengthen the profile of teaching professions. To accomplish this, the target in this project are: 1. primary school students (from 6 to 12 years old); primary school teachers; primary school students’ parents; and as well as the wider community (science related researchers and organizations). – Web-Platform with a Virtual “Teachers Room”, Virtual Library for resources, a Photo Gallery with home activities and DIY projects for children and family.